In the history of Maricopa, a man named Perry Williams is noted three ways. An entrepreneur, he built Hotel Williams in 1884 on the southside of the railroad tracks, just feet from the rails. (The building was destroyed by fire in 1913.) After the post office moved from Maricopaville to modern-day Maricopa in 1887, Williams became the postmaster and may have run the post office out of the hotel. 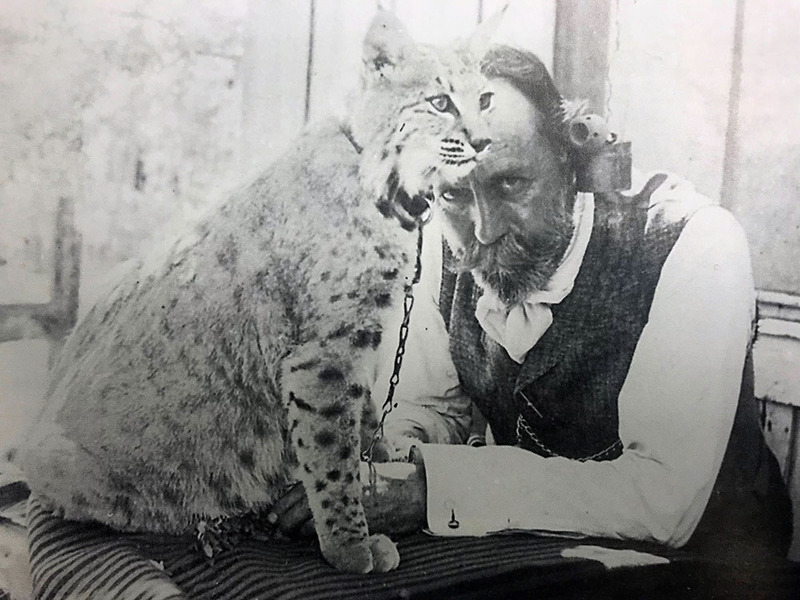 Most noted, thanks to a preserved photo of the time, was his ownership of at least one bobcat, which he kept at the post office as a tourist attraction for several years. Williams eventually sold his land holdings in Maricopa and moved back to Phoenix. This item appears in the April issue of InMaricopa.